Horniferous. The two principals of Casta Acoustics are. For their Reference models. But those do not propose the big colourful spherical horns which Avantgarde Acoustics of Germany have popularized. Instead our Italians, under R&D director Roberto Tittarelli's baton, play with conventional if higher-efficiency woofers. 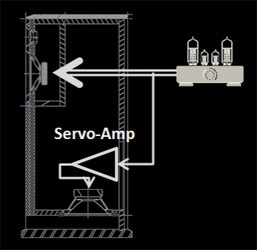 Where they do apply waveguide gain and directivity control is to the mid/upper frequencies, via rectangular horns set into their cabs à la Klipsch or sound reinforcement boxes for stages and stadiums. Such a background begs an obvious question. What might Casta do for their Columbus models which so clearly eschew horns? After all, a designer's sonic preferences don't change for his smaller more affordable efforts. They might dilute but shouldn't make an outright U turn. What horny virtues would remain? The Columbus 22 claims to be the "smallest full-range high-efficiency speaker in the world". Aha. So horn-inspired sonic ideals here focus on sensitivity. Since small, full-range and high efficiency never coexist—you can have any two of these qualities but not all three together—the two-way 22 cheats. It augments its passive 4-inch paper 'woofer' with pleated surround on the front with a downfiring 6-incher. That's housed inside the box powered by a class A/B amp with linear not switching power supply and analog electronic xover/compensation. This active driver communicates with the outside world via a slot at the frontal base. A response contour knob on the back offers LF settings for corner, wall or free placements. At 2" or 50mm, the vintage-reminiscent paper-cone tweeter is twice the usual diameter though its filter hinge at 2.5kHz remains bog standard. At 23.2 x 31 x 80cm WxDxH, the box is very compact. At 93dB/1-watt, it's also quite efficient though no more so than any number of rather bigger modern speakers from Stenheim or Magico. Again, efficiency and large size tango just fine. Small size, efficiency and low bass do not. Just so, the 22's bandwidth of 30Hz-20kHz achieves near full-range status if we subtract the first ten cycles and make allowances for a missing -3dB value. Now you know what makes the 10Ω floorstanding Columbus different. It's a conventionally styled small tower with all paper diaphragms and sufficiently high sensitivity to blow a lovely wet kiss at low-power amps of possibly even 45 triode stripes (as always, contingent on room size, sitting distance and desired SPL). The active woofer parallels a SET's LF efforts on the smaller mid/woofer. This adds credence to experiment with such amps. Not that others couldn't apply or work better. 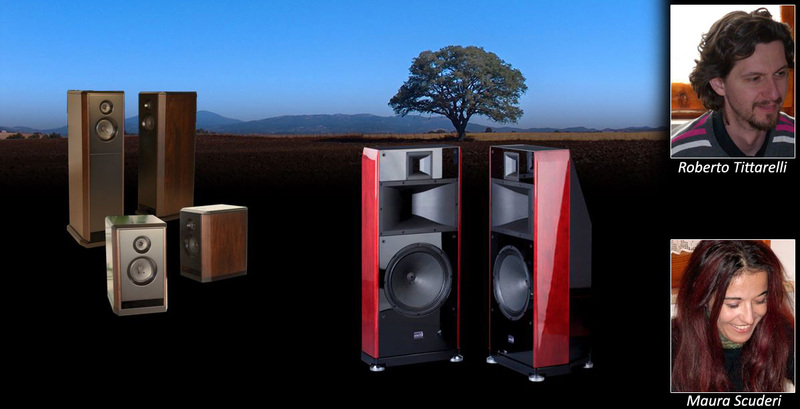 SET-friendly speakers without horns or ultra-efficient widebanders are simply rare. Actual sightings are a bit of an exception, to be added to a quite short list of potential candidates for direct-heated triode fans who don't fancy huge backloaded Lowthers or mega front horns.